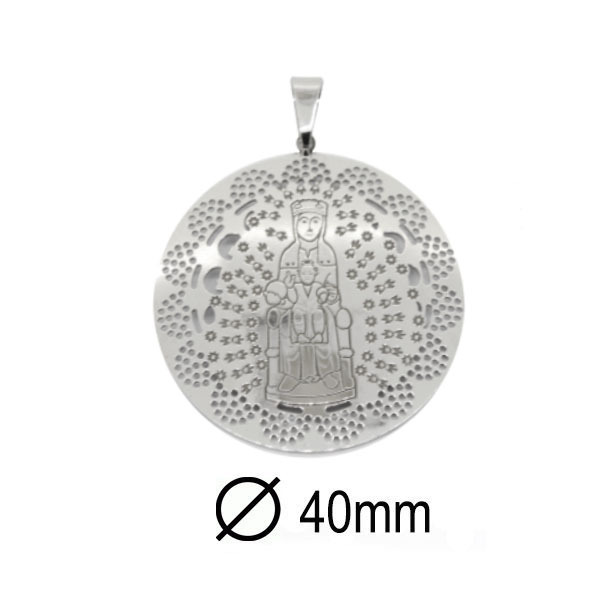 Medal Virgin of Monserrat in silver rhodium-plated 925 thousandths. Size 40 mm. delivered with silk lace black and locking carabiner, in case of the firm Stradda available in gold plated silver.